Market research company Counterpoint Research posted their quarterly and yearly report for Q4 2018 and full year 2018. 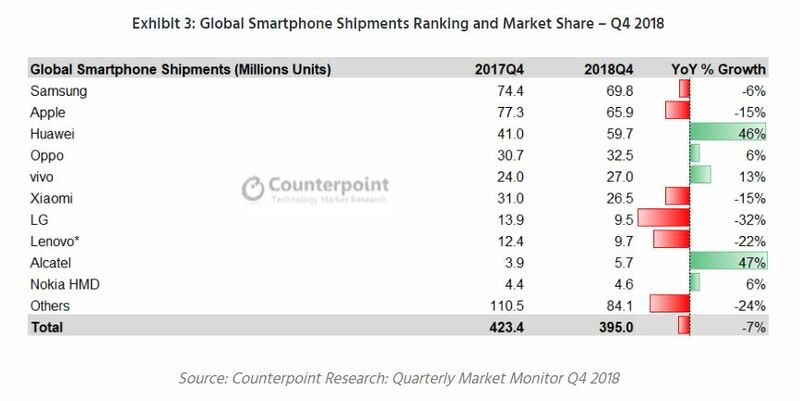 First time ever, the smartphone market declined on a global level (by 4%), with shipments of 1.4983 billion smartphones during 2018. 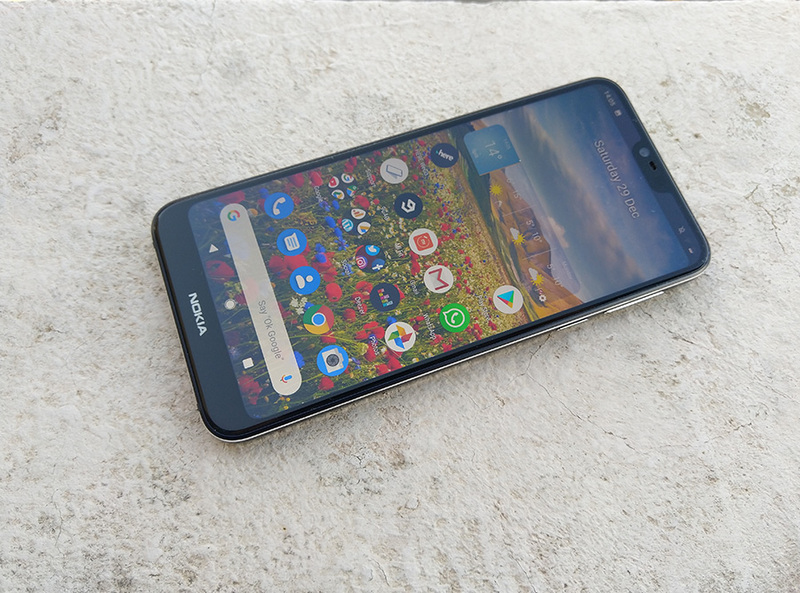 HMD Global shipped 17.5 million phones during 2018 and posted biggest growth among the top 10 global smartphone vendors. HMD is at No.9 with a year-over-year growth of 126%. 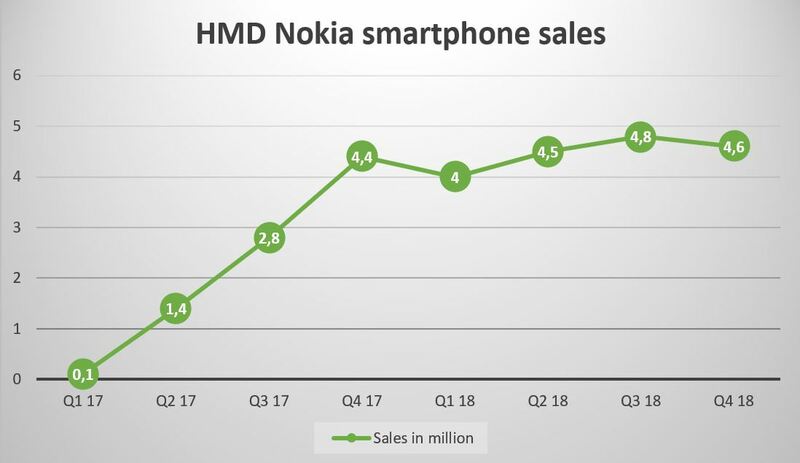 HMD’s market share in 2018 was 1%. The results for the 4th quarter of 2018 aren’t that great in my opinion. The company shipped 4.6 million smartphones and posted 6% yoy growth, taking the 10th place on the top 10 list. 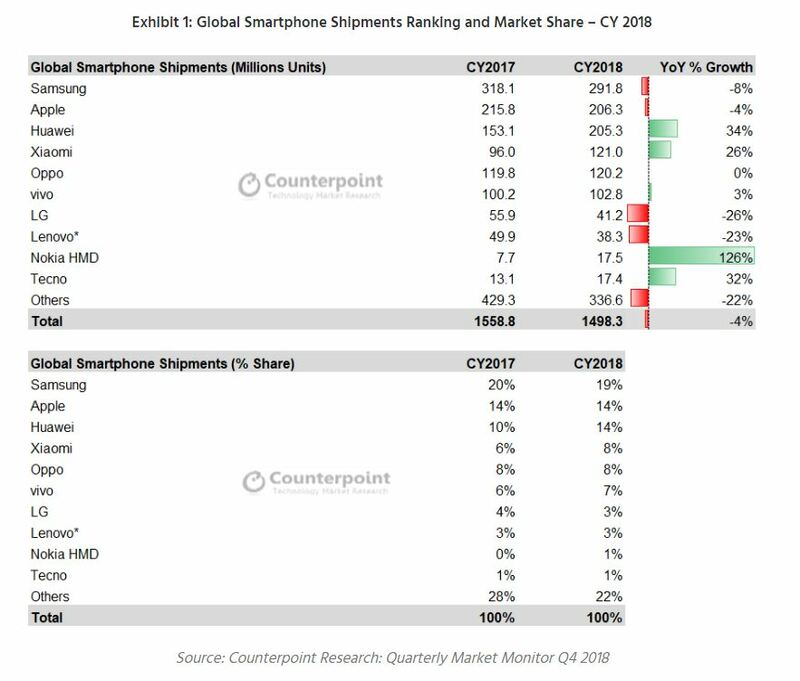 One has to consider that the market declined 7%, but still this result is worse than shipments in Q3 2018 and we know that Q4 is historically the best quarter for smartphone vendors.